In this joyful 7-inch scale figure from the mind of Joe Ledbetter, we see an anthropomorphic melding of penguins from the real world and Gotham's underworld. Run - don't waddle - to get your figure as this edition is limited to just 1,000 pieces. 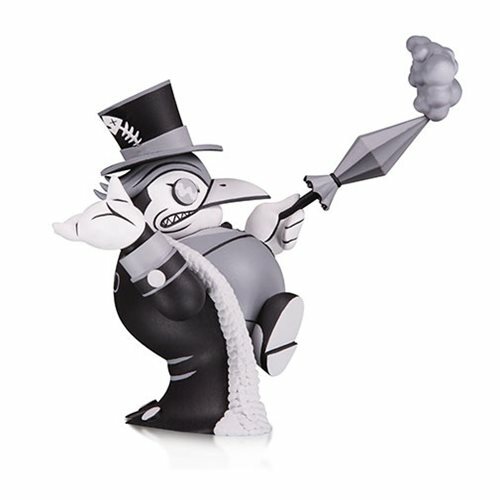 The DC Artists' Alley Penguin Black and White Version by Joe Ledbetter Designer Vinyl Figure features The Penguin in black and white deco.